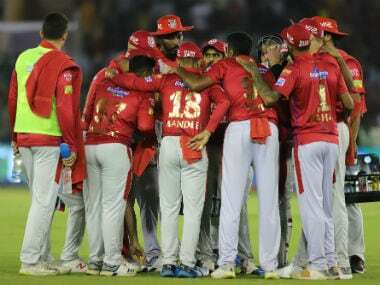 Ravichandran Ashwin and KL Rahul played pivotal roles as Kings XI Punjab produced a superb all-round performance to script a comfortable 12-run win over Rajasthan Royals in a second leg IPL clash to bring their campaign back on track. Rahul shouldered the responsibility when Punjab batted, scoring a steady 52 from 47 balls. 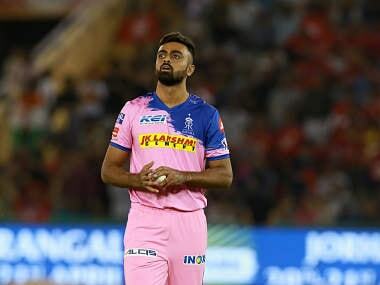 He lost his opening partner Chris Gayle before the powerplay ended, then saw Mayank Agarwal sent back by spinner Ish Sodhi with the score at 67. He combined with David Miller, who made 40 from 27 balls, to take Punjab past 150 by the 18th over. 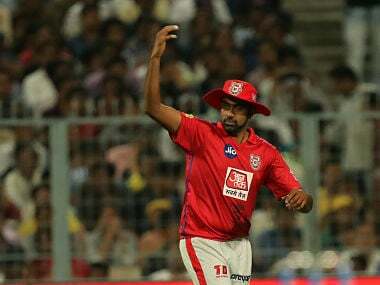 Skipper Ashwin made a quick 17 runs from 4 balls, including two sixes off the last two balls, to ensure Kings XI Punjab ended with 182/6 on the scoreboard. Jofra Archer was the pick of Rajasthan’s bowlers, taking three wickets and conceding a mere 15 runs from his four overs. BCCI Ombudsman Justice DK Jain summoned Sourav Ganguly for a hearing on 20 April over an alleged conflict of interest arising out of his dual role as Cricket Association of Bengal president and advisor for IPL team Delhi Capitals. The BCCI note also stated that the Ombudsman needs to "examine" Ganguly's dual role as "member of Cricket Advisory Committee (CAC)" as well as DC advisor. Three Bengal-based cricket fans – Bhaswati Shantua, Abhijeet Mukherjee and Ranjit Seal – had alleged that Ganguly's duty as a state association president is in direct conflict with his role as an advisor of an IPL franchise. Justice Jain’s communication read, “The parties may appear before the Ethics Officer, BCCI for a personal hearing on 20.4.2019 at 11 am, at New Delhi at the venue, which shall be communicated by the BCCI to the parties herein, by email, on or before 19.4.2019.” He also summoned Shantua, Seal and Mukherjee for depositions in person as per principles of natural justice. Ganguly has denied the charge. BCCI chief Johri in his letter quoted Rule 38(4) of the BCCI Constitution, which states "one individual cannot occupy the posts of "Office Bearer of a Member" and be in "governance, management or employment of a Franchisee" at a single point of time. “Therefore, an instance of conflict of interest could be said to have arisen,” he wrote. However, he added that there is no "straitjacket formula which can be applied." He concluded by stating that if full disclosures are made, Ganguly, for his "vast knowledge", should be allowed to continue. In tennis news, Novak Djokovic was severely tested during a 6-3, 4-6, 6-4 win over Philipp Kohlschreiber in his opening match at the Monte Carlo Masters on Tuesday. He was able to avoid a second straight loss to Kohlschreiber after the 35-year-old beat him last month in the third round at Indian Wells. Djokovic, who lives in the Principality, is playing his 'home' event for the 13th time in 14 years. He won it in 2013 and 2015, and lost in the finals on two other occasions. Meanwhile, in a surprise result, Argentine player Guido Pella defeated seventh seed Marin Cilic in the second round 6-3, 5-7, 6-1. That defeat meant 2014 US Open winner Cilic has just one win from six matches since January's Australian Open, where he exited in the fourth round. In Premier League news, Manchester United great Paul Scholes has been charged by the Football Association for allegedly breaking their betting rules, English football's governing body announced on Tuesday. Scholes, who won 11 Premier League titles and two Champions League trophies during a glittering playing career with United, resigned as a club director at Salford, while retaining his 10 percent stake, before taking the Oldham job. However, first foray into management with Oldham lasted just 31 days.